Springworks is a technology company offering products within connectivity and M2M (Internet of Things). As of fall 2015 a team of 25 engineers provide a first class platform for connecting cars with the internet. In November 2015, Springworks launched Telia Sense in partnerships with TeliaSonera. 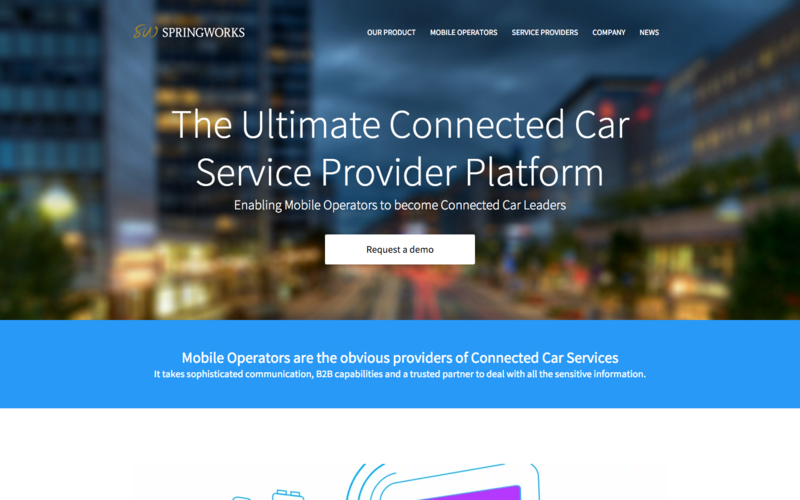 The ultimate connected car service provider platform enabling mobile operators to become connected car leaders. Since May 2015, TeliaSonera owns 30% of Springworks AB.